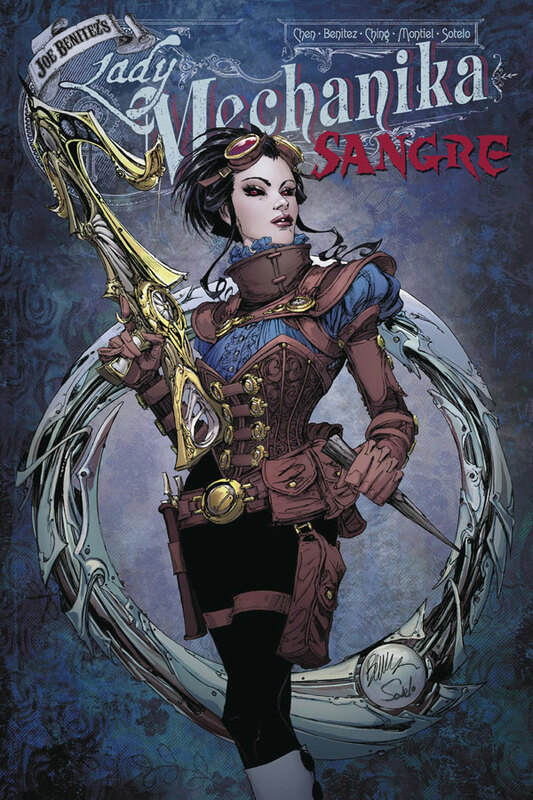 Lady Mechanika journeys to the Spanish countryside to hunt a demonic creature allegedly stalking the local bar owner’s son, but she quickly begins to suspect there’s more to the case than meets the eye. What dark secrets are the Bar Owner and his wife so desperately trying to hide? Features a main story drawn by guest artist Brian Ching (Supergirl, Star Wars) with a prologue by Benitez and Montiel.